What’s new in Krita 2.8? 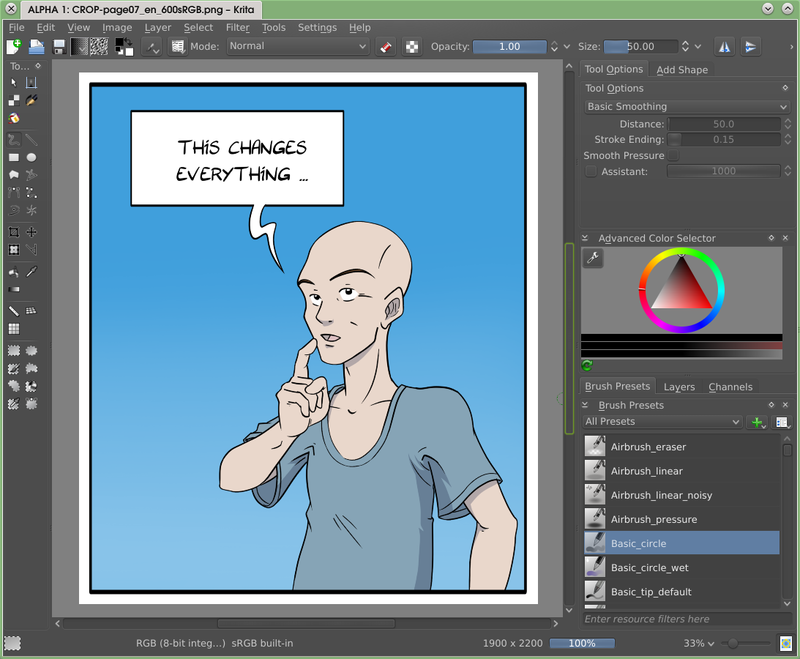 Krita 2.8 running in Trisquel GNU/Linux 6.0, showing the default interface. The character on the canvas is Kiki the Cyber Squirrel, Krita’s Mascot. Krita 2.8 will be the first stable Krita release for Windows. We have been making experimental builds for Windows for about a year now, and a lot of testers helped us to stabilize it. While this is not really a new feature for the Linux user, the step and the work on it was so huge that it does merit the 1st rank in this feature list! Most work on the Windows port has been done by KO GmbH, in cooperation with Intel. Development: Dmitry Kazakov, Boudewijn Rempt. 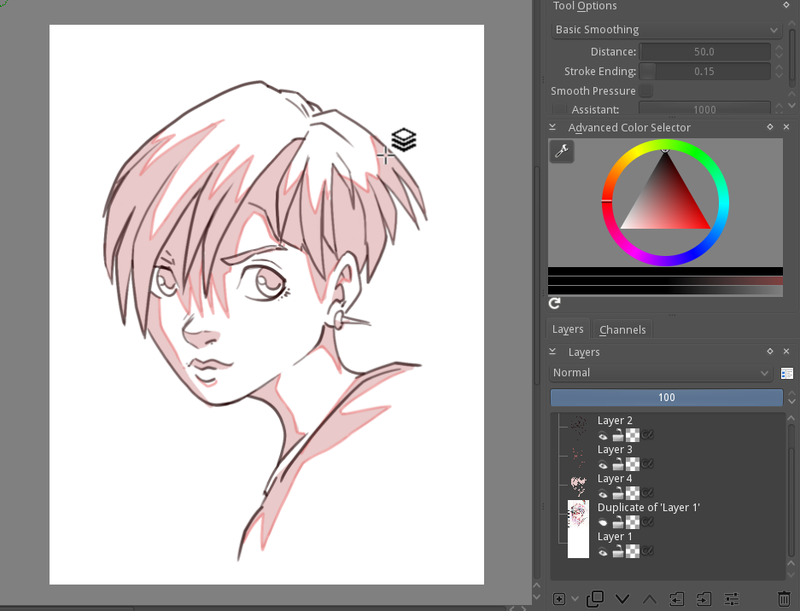 Krita has relied on Qt’s graphics tablet support since Krita 2.0. We consciously dropped our own X11-level code in favour of the cross-platform API that Qt offered. And apart from the lack of support for non-Wacom tablets, this was mostly enough on X11. On Windows, the story was different, and we were confronted by problems with offsets, bad performance, no support for tablets with built-in digitizers like the Lenovo Helix. So, with leaden shoes, we decided to dive in, and do our own tablet support. This was mostly done by Dmitry Kazakov during a week-long visit to Deventer, sponsored by the Krita Foundation. We now have our own code on X11 and Windows, though still based on Qt’s example. Drawing is much, much smoother because we can process much more information and issues with offsets are gone. Photo: David Revoy testing Krita with four tablets. 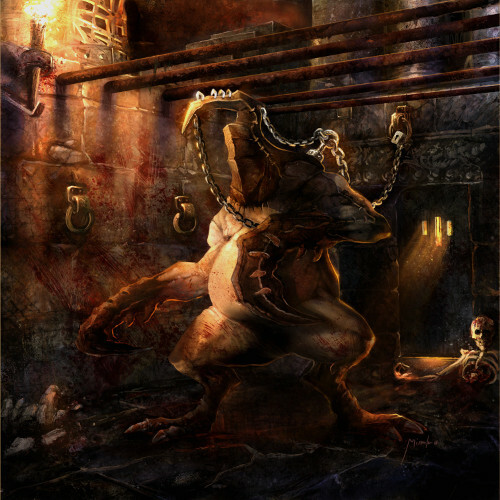 Krita was one of the first painting applications with support of OpenGL to render the image. And while OpenGL gave us awesome performance when rotating, panning or zooming, rendering quality was lacking a bit. That’s because by default, OpenGL scales using some fast, but inaccurate algorithms. Basically, the user had the choice between grainy and blurry rendering. 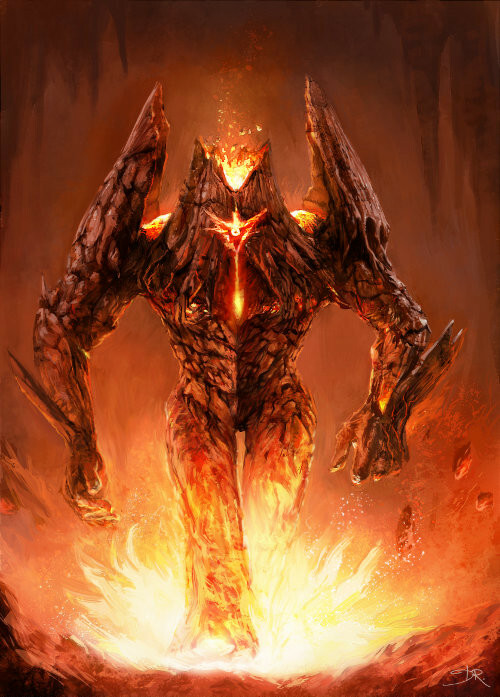 Again, as part of his sponsored work by the Krita Foundation, Dmitry took the lead and implemented a high-quality scaling algorithm on top of the modern, shader-based architecture Boudewijn had originally implemented. The result? Even at small zoom levels, the high-quality scaling option gives beautiful and fast results. 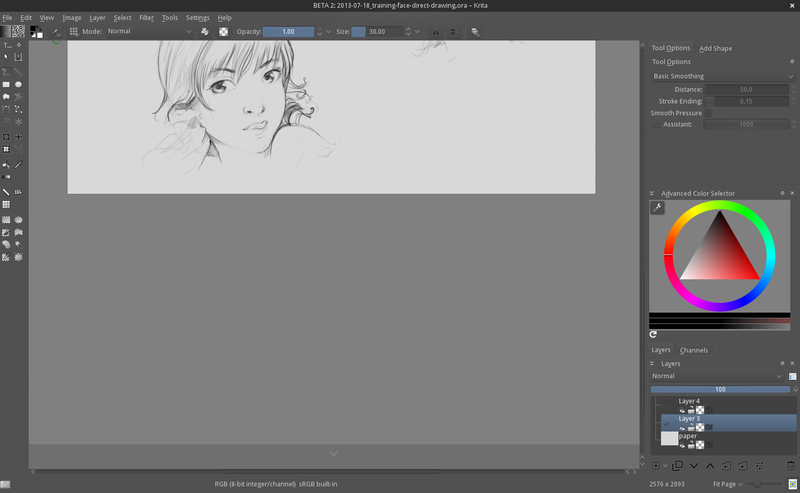 On Linux, the Krita Sketch user interface is now bundled with Krita 2.8, and users can switch from one interface to another. 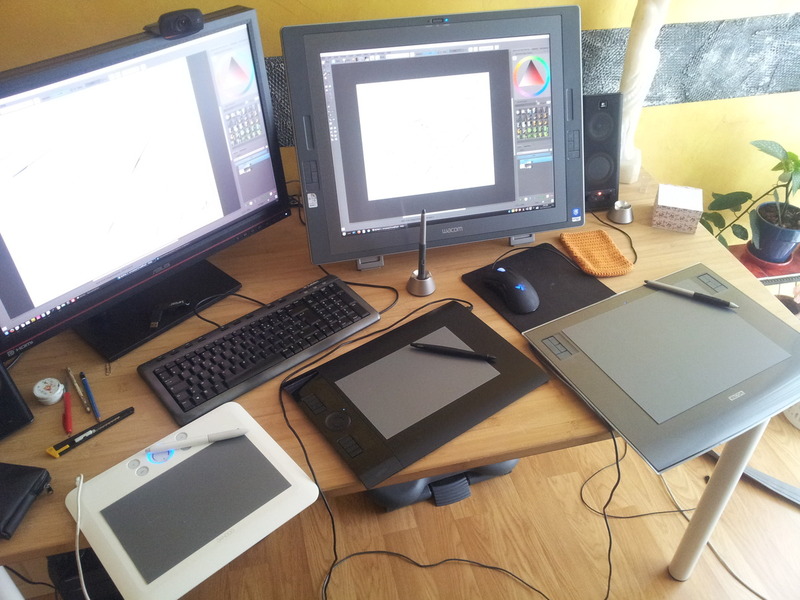 Krita Sketch and Krita Gemini were developed by KO GmbH together with Intel. 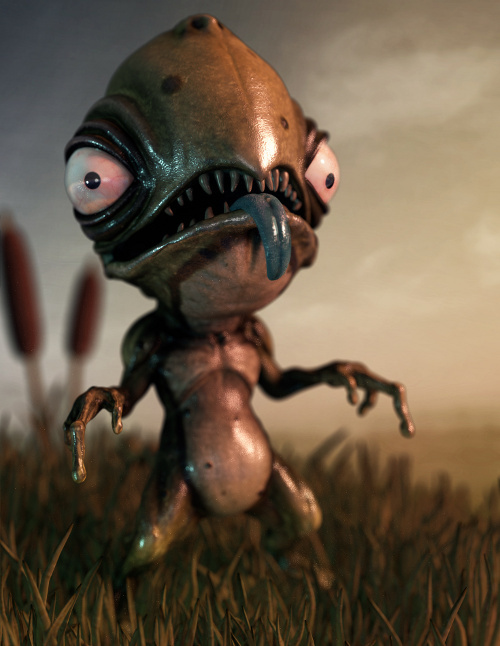 On Windows, Krita Gemini will be available through Valve’s Steam platform. The Wrap Around mode (activate it with the W key, or in View > Wrap around mode) tiles the artwork on the canvas border for easy creation of tiled textures. It is only visualized in OpenGL mode (Settings > Configure Krita > Display). Krita 2.8 offer a new set of brush presets, with new icons following standards. Here is a screenshot with a sample of them. Additionally, now It is easier and faster to assign tags to resources — with a single right click. Resources: Timothée Giet, Ramon Miranda, Wolthera, David Revoy, and other Krita community artists. Directly select a layer by pressing the ‘R’ key and clicking with mouse/stylus on the canvas. It’s now easier to switch palettes with the Palette docker. Adding and removing a color can be performed directly on the docker. A set of new palette presets made by talented authors are now also bundled with Krita by default. You can display the Palette docker via: Setting > Docker > Palette. Resources: Tim Von Rueden, Spencer Goldade, Richard Fhager, Kim Taylor, David Revoy. If you scroll the canvas a lot in one direction, you’ll notice a big button appearing with an arrow on it on the border of the screen A single click on this big button will extend the canvas automatically in this direction. This feature will help you to focus on drawing and never worry about the drawing surface available. The crop tool can now ‘grow’ (you can crop a document outside the canvas limit and extend the canvas) and also get decorations (third guidelines, middle crosshair). The color pickers get new icons and more options. You can change the shortcuts (like Alt) for the Color pickers in the Settings > Configure Krita > Canvas Input Settings and unfold ‘Alternate Invocation’. Use hundreds of famous Gmic filters directly in Krita. It’s a first implementation, and still experimental and unstable. Also, it does not yet take the selection into account and doesn’t show a preview yet. You can find the feature under the menu: Layer > Apply Gmic actions. Development: Lukáš Tvrdý, David Tschumperlé. This new feature creates a number of clones of the current layer so you can paint on it as if the tiles were repeated. 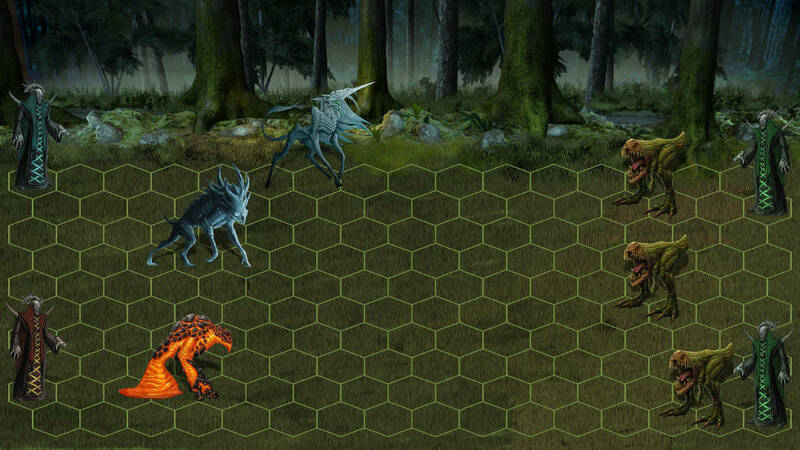 The feature is convenient for the creation of isometric tiles. Note that, ‘Clone layers’ child can be moved independently from the parent layer with the move tool. You can clone any base layer, and position them to your liking ; they keep the dynamic properties to the live clone. Images, test and videos by Paul Geraskin. Krita gets a new panel in the preferences (Setting > Configure Krita > Canvas Input Settings) to offer you the possibility to customize all related canvas shortcuts. That means: all the zoom- and color picker keys are configurable now. A lot of work was done to make the Krita 2.8 user interface more compact, and dim the saturation of the icons to let the user focus on the canvas. Isolate layer or mask: right-click on the layer or mask, select “isolate” and temporarily work only on that layer or mask. OpenShiva filter and generator scripting language. This is replaced by the G’Mic plugin. Implemented anisotropic spacing for the Krita brushes. Now if you change the ‘ratio’ option of the brush, the horizontal and vertical spacing will be relative to the width and height of the brush correspondingly. Rework the brush outline cursor and add a combined brush outline and dot or crosshair cursor mode. Brush outlines now also behave sensibly with very big and very small brushes. Rewrite the OpenGL canvas: it’s now much faster and more robust, as well as more extensible. Rewrite the tablet support to support non-wacom tablets on Windows and Linux and have better support for Wacom tablets. It is now possible to use multiple tablets (like Cintiq + Intuos) and issues with offsets are gone. the KDE project and community which provided the infrastructure, the foundations and frameworks Krita has been built on as well as the community we are proud to be part of. the Krita Foundation which, supported by the Krita user community has been able to sponsor Dmitry Kazakov as a full-time developer on Krita during this development period. 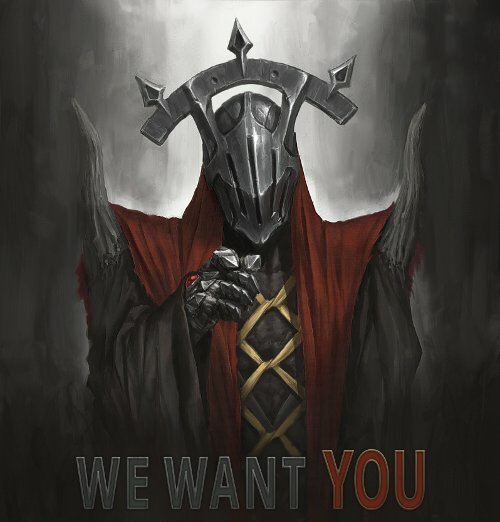 Consider joining the Develop Fund to make sure Krita’s development will continue at its current break-neck pace! KO GmbH, responsible for most of the work of making Krita work on Windows and providing commercial support for Krita users, as well as the Krita on Steam effort. Many Linux distributions will offer Krita 2.8 in their backports repositories. Windows users can download Krita 2.8 here, provided by KO GmbH. The best way to get to know Krita is through the Muses DVD! Check out the contents, or order your copy now! The regular price is € 32,50 including shipping.